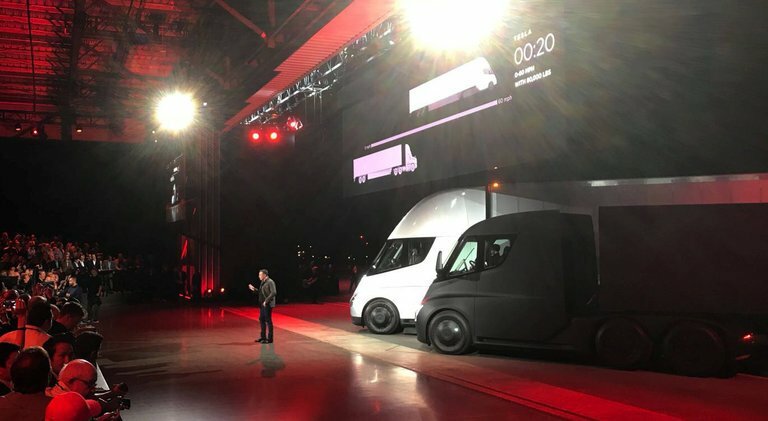 In a very elaborate presentation by Elon Musk on Thursday, Tesla revealed a prototype for a semi truck that is almost driving itself, battery-powered. The company said that it would prove to be more efficient and far less costly to operate than those that are currently hauling goods across the country. The best part, he added, is that it will emot no exhaust. At the same time, Mr. Musk showed that he was not putting the car side of the business aside, an unveiled a new Tesla Roadster that is ablet to reach 60 miles per hour in only 1.9 seconds and travel 620 miles on a single charge. He claimed that this car would be the first ever with a zero-to-60 time under two seconds. Moreover, the car can reach a top speed of at least 250 miles per hour.